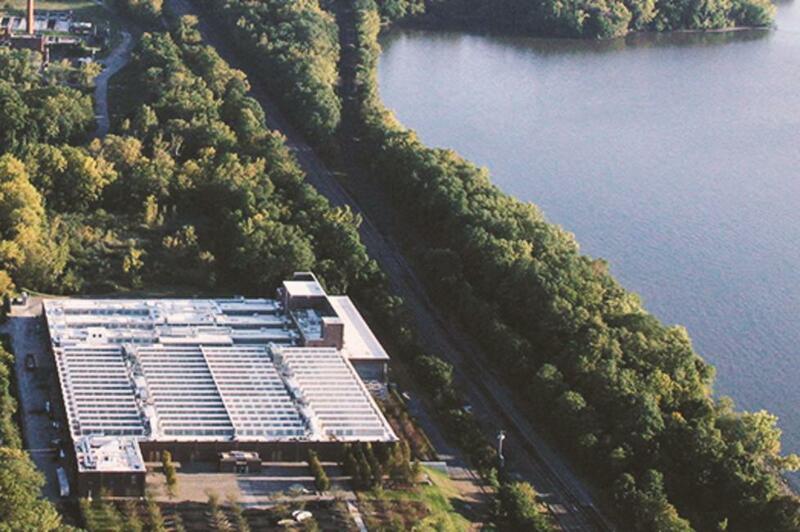 The small Hudson Valley town of Beacon has blossomed into an art lover’s paradise and a popular weekend getaway thanks to the Dia Art Foundation converting a Nabisco box printing factory on the banks of the Hudson into Dia:Beacon in 2003. Now more than 75,000 visitors a year flock to this contemporary and modern art museum and the town in which it resides. 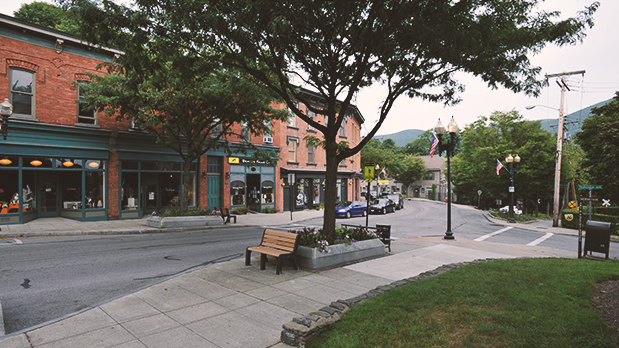 While a trip up to Beacon is easily doable in a day from New York City, there’s so much more to enjoy, so why not plan your visit over a weekend? 6 pm: Dogwood, a favorite of Condé Nast Traveler, is a cozy pub and restaurant on Main Street that offers standout versions of comfort food, including tasty vegetarian options, an impressive (rotating) selection of craft beers, and live music. 8:30 pm: The legendary Town Crier Café recently moved from Pawling to an 8,000-square-foot, 250-seat venue on Main Street in Beacon—and is the place for live music on Friday nights. Its stage has been graced by the likes of Suzanne Vega, Andy Summers, David Byrne, Pat Metheny, Richie Havens, and Pete Seeger. 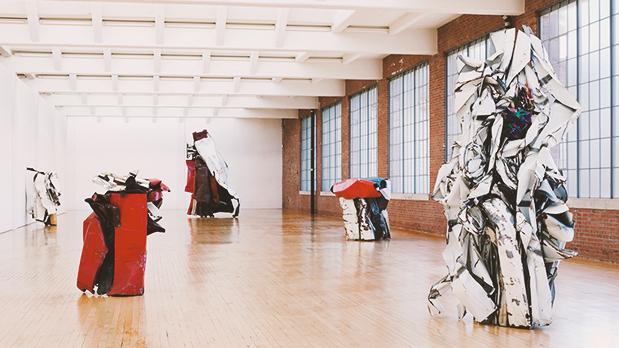 11 am: In its 300,000-square-foot facility located on the Hudson River, Dia:Beacon houses Dia Art Foundation&apos;s renowned collection, comprised of art from the 1960s to the present, as well as special exhibitions and new commissions. One of the main benefits of the location is that it has space both inside and out to show off large-scale sculptures and installations, such as Richard Serra’s monumental steel sculptures, which visitors can walk through and around. It also showcases works from other noted artists such as Dan Flavin, Joseph Beuys, Donald Judd, On Kawara, Agnes Martin, and Andy Warhol. Its 34 acres of artistically landscaped grounds offer a serene setting for a stroll. Children under 12 are admitted free. Leave yourself two hours for your visit. 2 pm: Grab a laid-back lunch at Homespun Foods on Main Street in town or in the Homespun Dia:Beacon café at the museum. 3 pm: After lunch, wander in and out of the numerous art galleries, boutiques, and antique shops along Main Street. Standouts include: the Hudson Beach Glass gallery and glass-blowing demonstration studio located inside a restored firehouse, the Beacon Artists Union, boutiques Reservoir & Wood and American Gypsy Vintage, and quirky gift and toy shop, Dream in Plastic. 4 pm: Take a tour and visit the tasting room of Denning’s Point Distillery, located in one of Beacon&apos;s downtown 19th-century buildings and listed among Hudson Valley Magazine’s Best of Hudson Valley Winners 2015. On the second Saturday of every month, they host an open blues music jam session from 3 to 6 pm. 7 pm: There are several options for a casual dinner in town. If you’re in the mood for burgers, Serious Eats recommends checking out Poppy’s Burgers & Fries. For ethnic Mexican cuisine, head to Tito Santana Taqueria. If you’re a beer lover, Condé Nast Traveler recommends the Hop, which serves up craft beer—16 drafts and hundreds of bottled beer—and rustic artisanal fare. 9 am: Before you head home, stop by Beacon Bread Company, which Yelp users give an average of 4 1/2 stars, for a bite of breakfast. For train travel from north of Poughkeepsie, take an Amtrak train to Poughkeepsie and transfer to a Metro-North train. Beacon is the second stop.